This year’s Woofest was a barking success. It raised over $5,000 before the event even kicked off and a total of $12, 500! Thanks in large part to all the wonderful local business sponsors eager to show their support for the surrounding community! 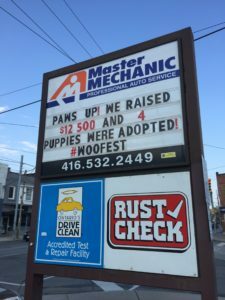 Josie Candito of Master Mechanic High Park and her team would like to take the opportunity to thank everyone in the community for coming out and showing their support for such a worthy cause. A special thank you goes out to all the volunteers who gave their time to make this event such a wonderful experience for everyone involved. Additionally a big thank you is needed to show appreciation to the dedicated sponsors and donors who donated money and resources to make Woofest an event to remember, raising the funds to donate to 5 worthy charities. Finally, thank you to the musicians, Daniel Lanois and Crooked House Road for performing an amazing show that had everyone rocking out. The festival was held at Master Mechanic in High Park in conjunction with the Dundas West Animal Hospital and included entertainment for dogs and their owners, with everything from balloon animals, face and nail painting, draws, as well as a “dawg lounge”, nail clipping and lots of advice from dog trainers and attending vets. The event also included contests with prizes going to the best dog costume, best dog smile, and the best dog trick, to name a few. 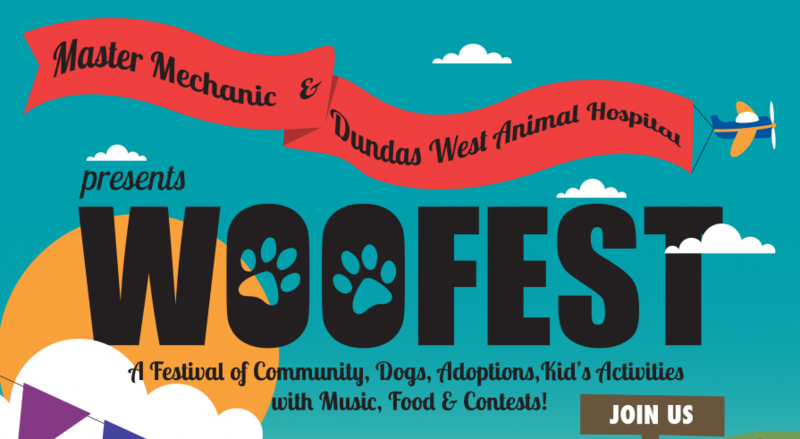 With live music and food provided by Barque Smokehouse in Roncesvalles, Woofest packed in over 1,000 guests as well as hundreds of dogs of every breed and size imaginable for a fun-filled afternoon. Together, $12,500 was raised for distributing to several charities and organizations. Some of the proceeds are going to help animals impacted by the fires in Fort McMurray. The event has also helped 4 puppies find new homes. The Moosonee Puppy Rescue. An organization that saves dogs that have been abandoned in isolated Northern Ontario communities. Moreover, they also find homes for them, many in the High Park area. The Farley Foundation. Established by the Ontario Veterinary Medical Association, the foundation helps low-income pet owners subsidize the costs of veterinary care. The Parkdale Food Bank. A community-based organization that provides fresh and non-perishable foods to as many as 2,800 people each month. The Redwood. Women’s shelter helping women and children escape domestic violence and giving them the means to get back on their feet. The Barrhead Animal Rescue Society. Rescues animals in the town of Barrhead, Alberta, and the surrounding area. They are currently taking in animals that have been misplaced by the Alberta wildfires. The team can’t say thank you enough to everyone involved in making Woofest the success it was. 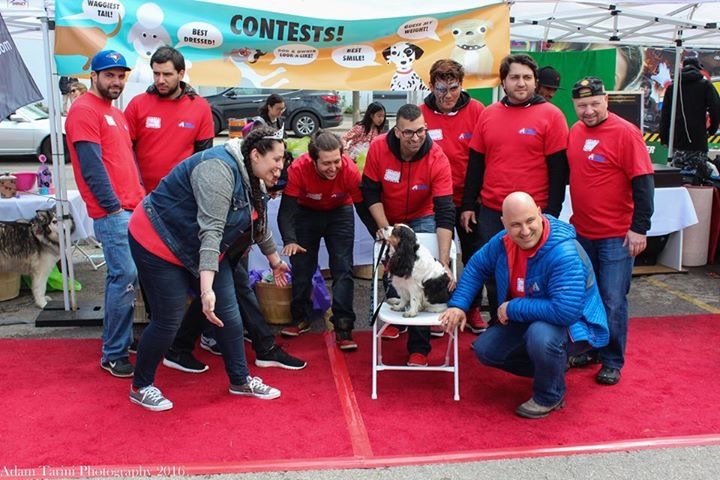 A final thank you goes out to Josie’s event partner Scott Bainbridge of Dundas West Animal Hospital, her supportive Husband Danny Candito, Business Partner Mike Tavares, Shop Foreman Rui Silvestre, and of course fur baby Charlie, for all their work behind the scenes. We couldn’t be happier about the success of this event! Visit Master Mechanic High Park’s Page to browse Photos from this event!